Electrostatic Finishing Components and Systems, Inc., an American engineering and manufacturing firm serving both the domestic and international markets, is a complete systems supplier for advanced spraying technologies. 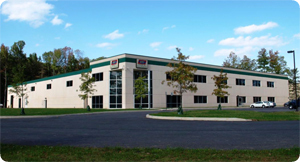 We design, fabricate, and repair electrostatic finishing components - turbine and spray gun systems - at our headquarters in Maryland. EFC was established in 1994 as an alternative source of spray paint equipment. The company was started when their founder was asked to consult on an assembly line efficiency project for one of the Big Three auto plants. Through close observation, the team noticed that there were several opportunities for improvement of factory component parts within the auto assembly plants they worked with. By listening to the specific requirements needed on the factory floor, they were able to exceed the expectations of their first customers. The business quickly became more focused on the paint room and EFC was born soon after. Word traveled fast throughout the automotive industry and the company grew quickly under the model of responsiveness and flexibility. The tradition of hands-on customer service continues today and EFC now supplies automotive assembly plants worldwide including the Big Three (Chrysler, Ford, and General Motors) as a tailored designer, producer, and service company. We are specialists at fulfilling orders in a timeframe and at a level of quality unmatched in our industry. Our centralization of engineering and manufacturing activities enables quick turnaround on new parts, repairs, trouble-shooting, and field service, allowing us to offer substantial cost savings to our customers. We rely on 3rd party suppliers for less that 10% of our supply chain, enabling us to shorten lead times, deliver the highest quality products, and control projects in the most efficient manner possible. EFC holds patents on several original technology designs and also specializes in making high quality replacement parts for every major brand in the industry. If you need it, the odds are we’ve got it. And if we don’t have it in stock, we can build it for you on-spec, on time and at the best price available anywhere - guaranteed.